I am Web Developer with 13 years experience based in New York City. I have worked in international agencies such as Proximity London and M&C Saatchi Sydney. I'm currently working as a Web Applications Developer, ALLDAYEVERYDAY. 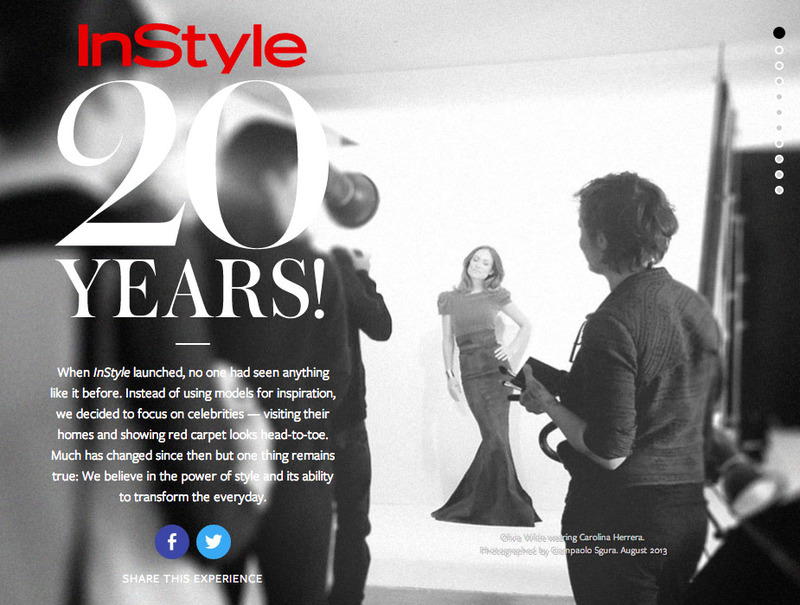 I developed InStyle magazine's 20th anniversary microsite. The backend is built in PHP using Laravel, and the front end integrates with the Brightcove video player. Working with a front end developer, I was the Lead Developer for the relaunch of V Magazine's website. I used Codeigniter and Doctrine to create a custom admin that interacts with Rackspace's Cloud Files to store the large amount of imagery required by the design. I also set up and administer the Ubuntu server that runs the production and staging environments. My fab designer wife Tessa Mulford and I worked together for H&H Weddings, a new site dedicated to wedding planning for the LGBT community. The site is a blog, but also includes an e-commerce portion for gay-friendly vendors to promote themselves through the site. Taking an existing codebase, I adapted a Sencha Touch / Ruby app for a Nike event held in Portland, Oregon. 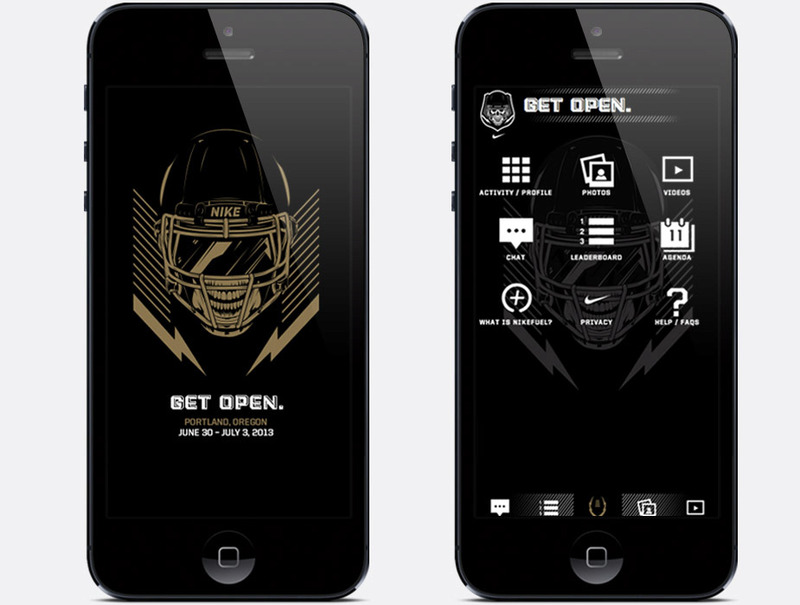 The app included chat and photo upload capabilities, and showed Nike Fuel scores for all participants - the USA's best high school footballers. This event also included a Jumbotron display of the app data! My wife and I created a website of our favourite places to eat, drink, shop and more in New York. It’s based on a PDF we created for our friends and family who travelled here for our wedding in March 2012. This responsively designed site lets you tick items off the list and create your own wish list of places you’d like to go. I was a Developer on a team that worked on the redesign of the Next Management website. The site has a large database and many admin users worldwide who are constantly editing large amounts of imagery. Many background tasks operate to process images and PDFs so that the website itself runs quickly. 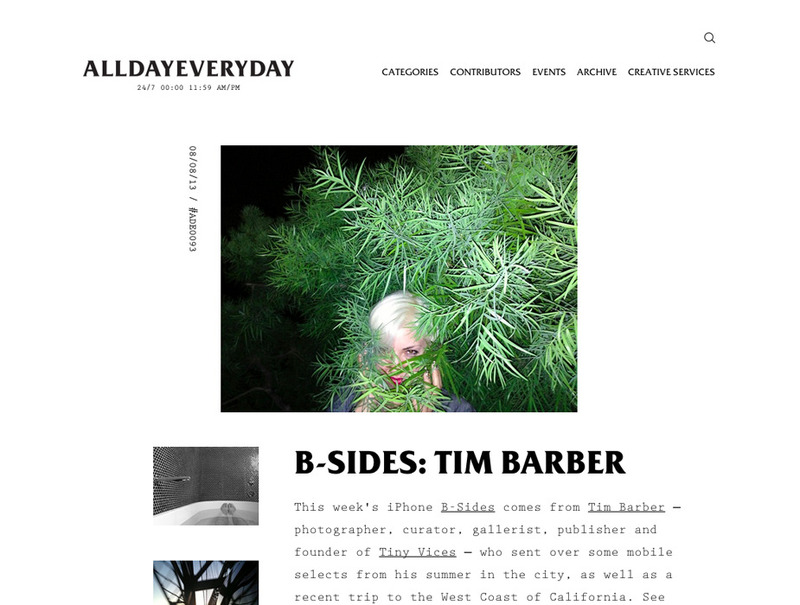 I developed the new blog for ALLDAYEVERYDAY, the studio I work for. We used MongoDB for the database using the Mongoid gem for Ruby to interact with it. The build had very tight deadlines, and a design that changed as development proceeded. 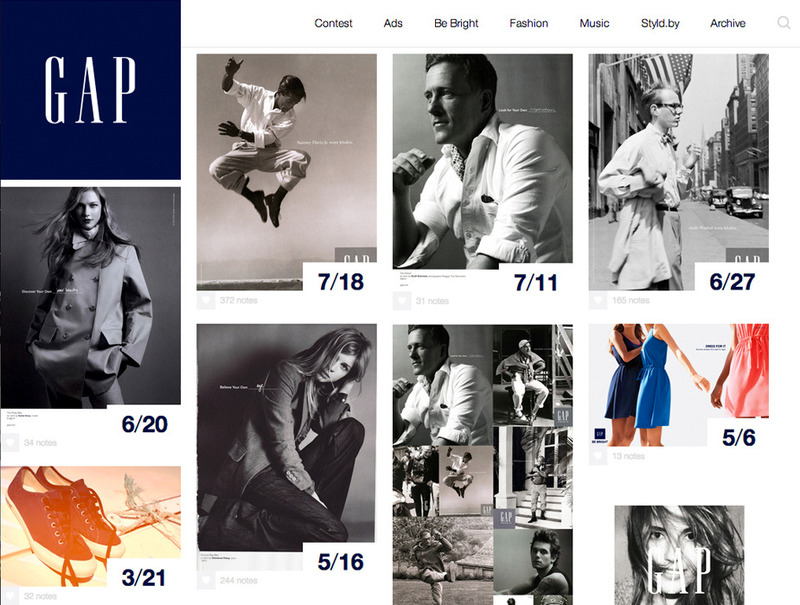 The Gap Tumblr theme was updated to coincide with the launch of Gap's Styld.by campaign. 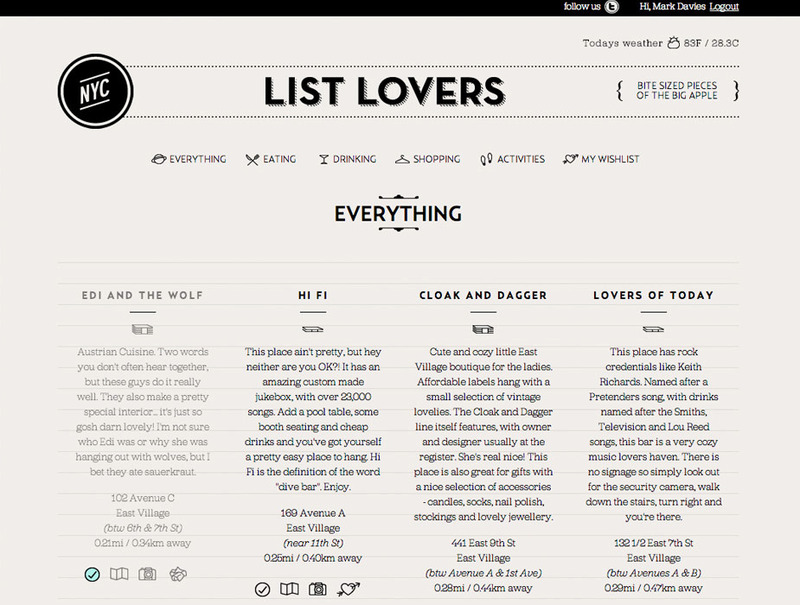 The theme uses masonry.js for layout, and features infinite scrolling. 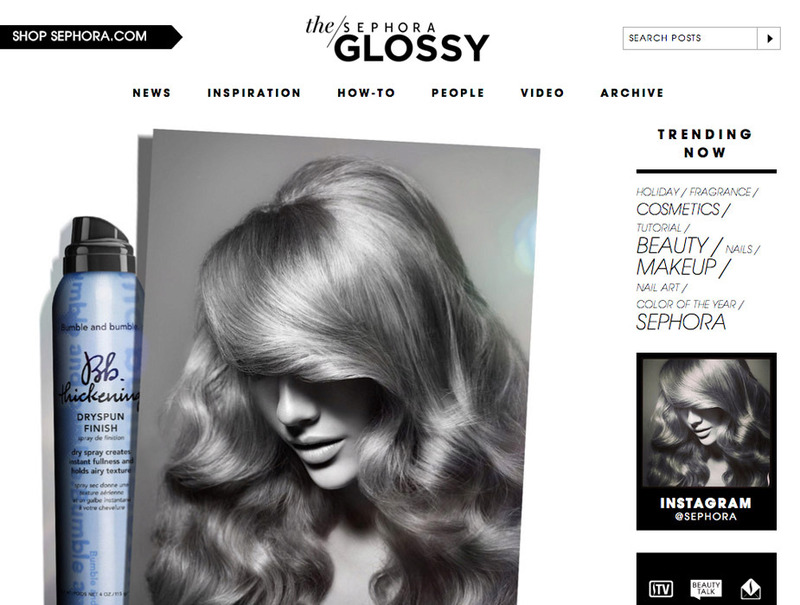 My first Ruby project is a blog site for Sephora called The Glossy. 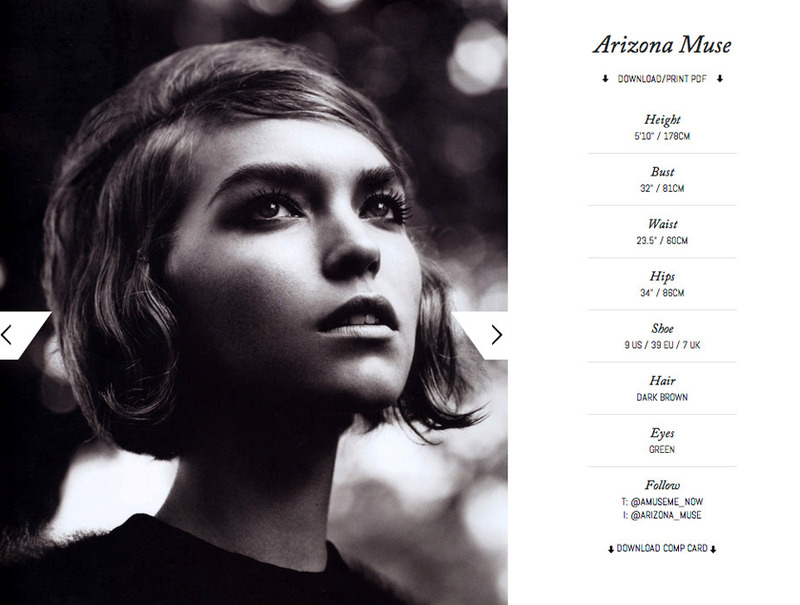 The site is externally hosted, but integrated with Sephora's Tumblr account. All posts are updated on Tumblr behind the scenes when they're edited on the site. 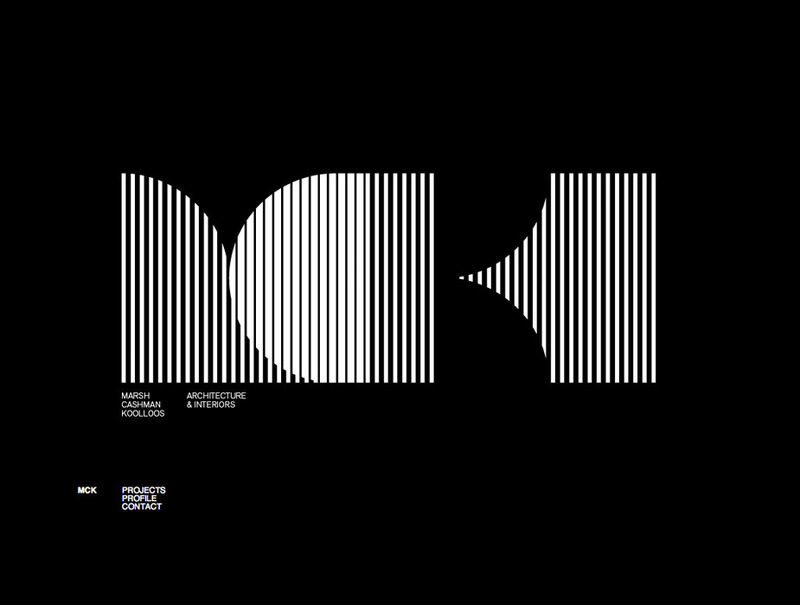 I was the developer for the redesign of Sydney architecture firm MCK's new website. I used Codeigniter together with my pre-built custom CMS I use for smaller projects to complete the build within a tight budget. 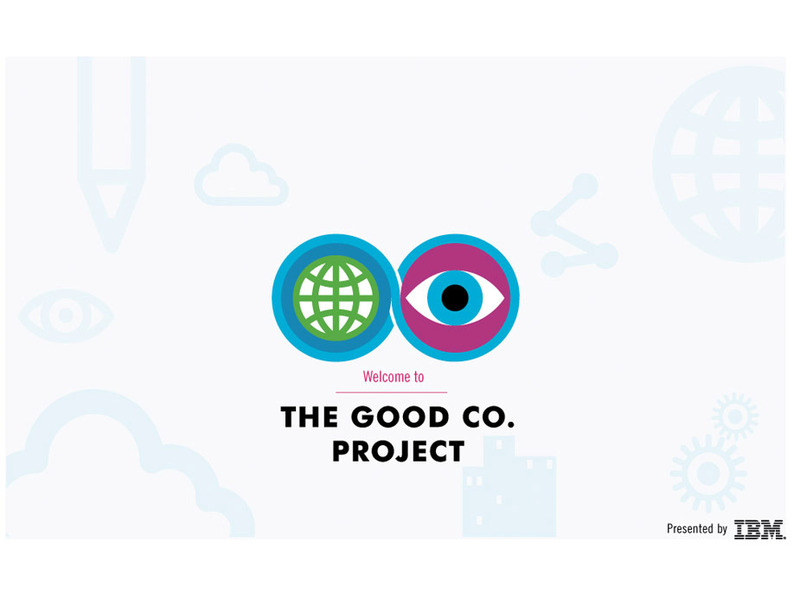 I developed a front end user interface for the Good Company Project, which shows off the most forward thinking companies around today. 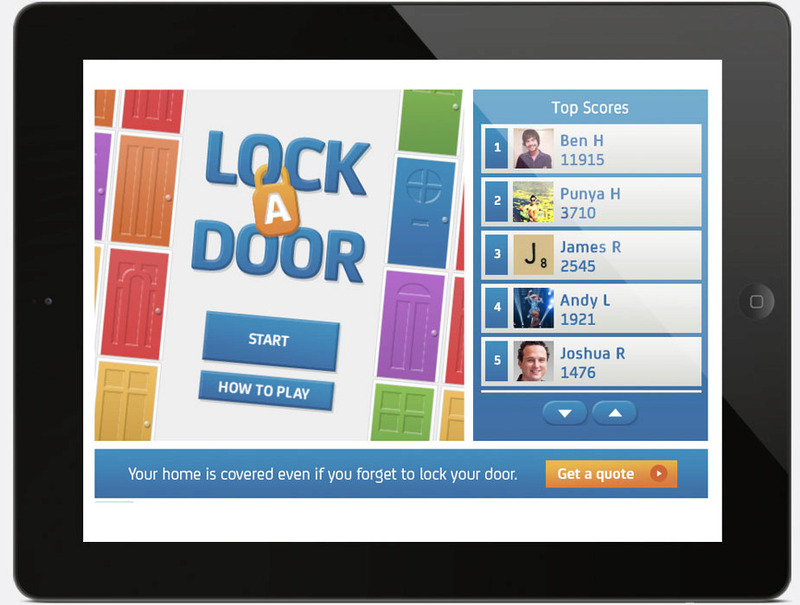 This was a purely front end build, using only jQuery to create a "Flash-like" experience.